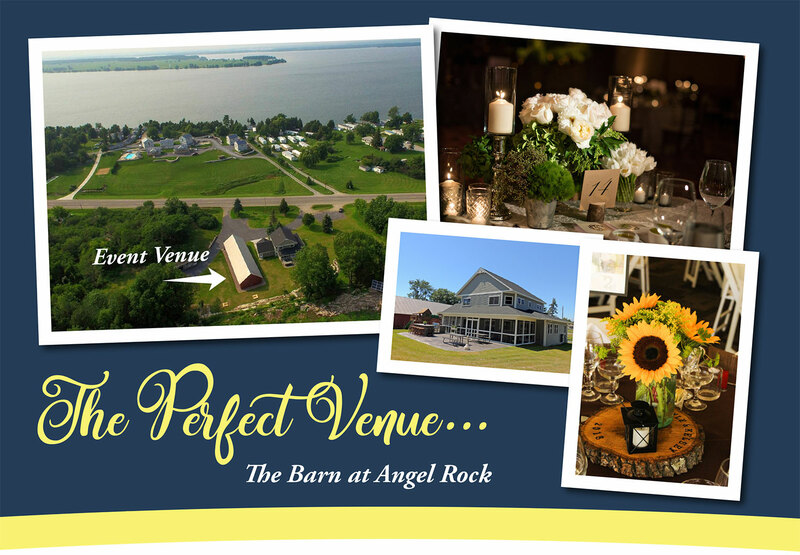 The Barn at Angel Rock is a rustic yet elegant venue, and the ultimate canvas for your dream wedding! The Barn allows for approximately 150 guests. For larger events, you can choose to extend the space using an event tent and increase the guest capacity. We are a destination venue! When you rent our Deluxe Home and Barn venue, you have use of the facility for the entire time of your stay, at no extra cost. This allows you plenty of time to decorate and clean up at your leisure – not on the Big Day. The Deluxe Home, located steps from the Barn, is ideal for your bridal party to get ready prior to the wedding. Options for decorating the Barn are limitless! We allow our couples the freedom to create their own unique celebration. We have an open vendor policy so you will not be restricted in your choice of caterer, bartender, DJ or any other vendors. Contact Us Today To Inquire About Availability! 100’ x 30’ barn, can be divided into 2 sections for a more intimate party or into separate cocktail party and reception areas. Best for 150 person or fewer events. Rental of the Deluxe Home is required in order to rent the Barn venue. We can assist with the required tables, chairs, linens and portable bathroom rentals. Events can run later than the 10 PM most venues require. Wedding party/family accommodations in the 5 bedroom, 4 1/2 bath Deluxe Home. Onsite lodging for up to 220 guests in upscale cottages & vacation homes. Picturesque waterfront photo areas included. We offer straightforward pricing with no hidden fees: ($1,950 Barn rental + Deluxe Home rental).